On a cold and rather blustery November afternoon, Basset & Gold brightened up the day for 15 members of a local Stratford community group, Any Old Irons, with a wonderful day at the theatre. Run in conjunction with the West Ham United Foundation and Friends of the Elderly, Any Old Irons is part of the Football Friends programme. The initiative gives participants the opportunity to connect with other fans and locals in their community, bringing them together for fun and friendship. 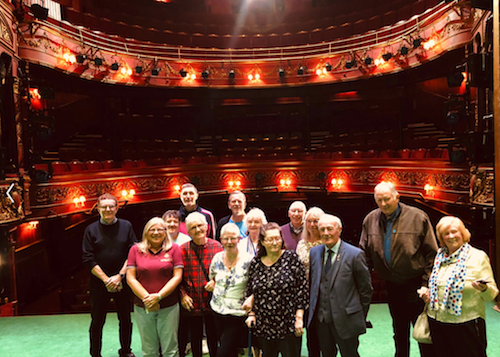 Basset & Gold’s aim was simple: to create an inspiring, creative and educational day out for the members of Any Old Irons with a visit to this wonderful theatre. Whilst many of the group may have been familiar with the building, they may not have had the opportunity to walk through its famous doors to experience its cultural, artistic and theatrical riches. A large and venerated theatre in the centre of Stratford, the Theatre Royal Stratford East was built in 1884. In 1953 it became the home of the Theatre Workshop Company. Basset & Gold arranged for the members of Any Old Irons to come along for a day out at the theatre, where they were wined and dined, given an ‘access all areas’ tour and met and chatted with the famed actress, Tracy-Ann Oberman. 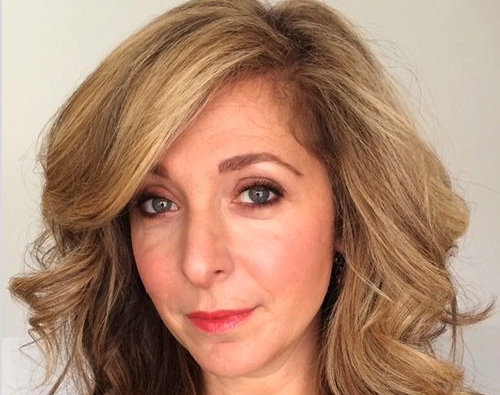 Best known for her role as Chrissie Watts in BBC’s EastEnders from 2004 to 2005, Tracy-Ann Oberman is currently in a Harold Pinter play, Party Time and Celebration, as part of an all-star West End season. She was able to find time in her busy schedule to come along for the afternoon to meet the Any Old Irons group, welcoming them to the theatre and talking about the evening’s production and its successful run at the theatre. She also spoke about her career and took some entertaining and often humorous questions from the group. The evening culminated in watching the theatre’s current production of The Wolves, a play by Sarah DeLappe which centres on the experiences of high school girls through their daily afternoon soccer warmups. The play was a 2017 Pulitzer Prize for Drama finalist and an Off-Broadway show. “I would like to thank you all for arranging such a wonderful event for us yesterday. Our group of 15 were treated like royalty as we were given a behind-the-scenes tour and the opportunity to meet and have a Q&A with the lovely Ms Oberman. We enjoyed the delicious buffet meal before thoroughly enjoying the production of The Wolves." enjoyed by Any Old Irons. The evening was a great success and enjoyed for all, and Basset & Gold look forward to the next project, supporting the local community with cultural and sporting events and activities and changing the lives of those living in the community.